The company was acquired last year by Merz for $600M, which was 6.6x the revenue from the previous 12 months. The company has undergone quite a journey, with $40M raised in total in three rounds: Series A of $5.5M from 3i in November 2005, Series B of $24.5M from NEA and 3i in December 2007, and Series C of $10.5 from NEA and Apposite Capital in January 2011. Since NEA first invested in Ulthera in 2007, the company has grown from just three employees to over 150. It has operated profitably since 2011 and had sales of over $117M in 2014. most importantly, Ultherapy has reached a large number of patients, being used in 500,000+ commercial procedures worldwide at over 3500 locations. Ulthera’s trajectory unfortunately was not shared by a number of other peer device companies. In 2014, VCs invested about $48B in total across all sectors, of which devices accounted for 5% and biopharma being 12%, said Norris, according to data analyzed by Silicon Valley Bank. 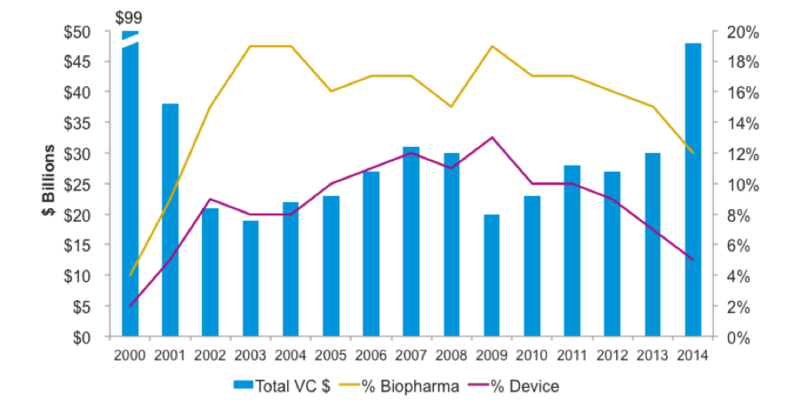 Although device allocations in multi-focused venture funds have decreased, the actual amount invested in medical devices is on the rise. 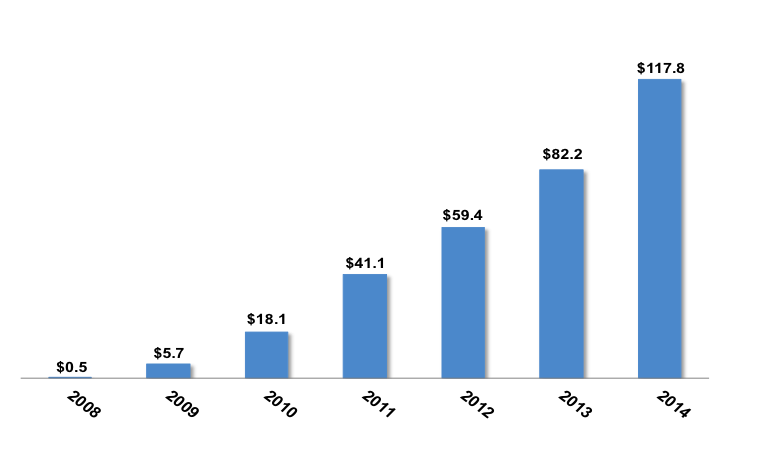 Of all investments made in device companies in 2013-2014, 64% were in early stage companies. NEA has been the most active investor in medical devices, Norris added. 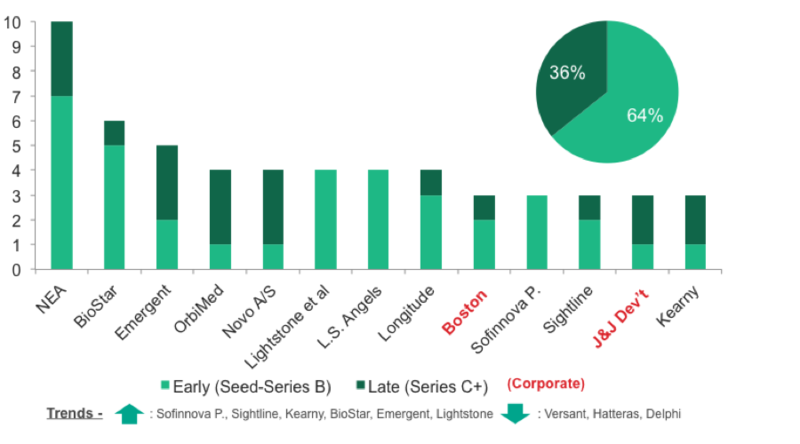 In the Neuro space, we saw more early stage investing than in 2013, primarily driven from some successful M&A and IPOs. 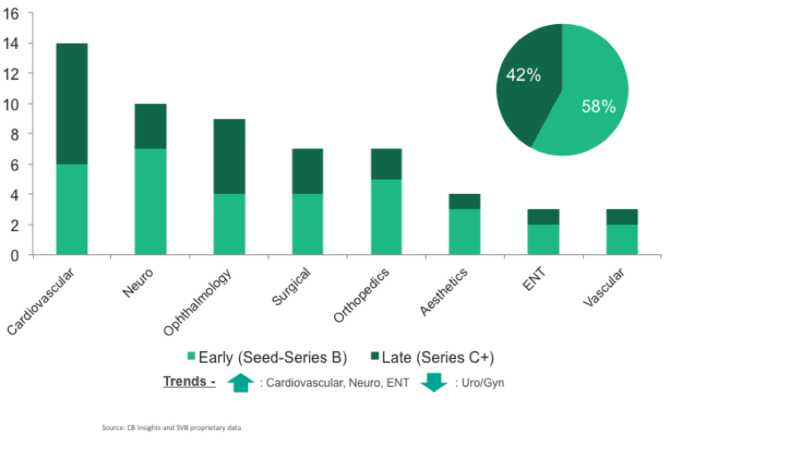 Broken down by therapeutic areas, cardiovascular devices continued to receive the most amount of funding followed by neuro and ophthalmology, Norris added. If you ask any Ulthera employee—and a good number of Ulthera’s customers—they will be able to recite to you Likens’ Seven C’s or key operating principles (Customer Focus, Consistency, Constructive Confrontation, Compliance, Cost Effectiveness, Creativity and Collaboration) that have become integral to Ulthera’s culture and purpose to Lift Lives. These subjective measures – the company’s culture and its execution on a plan to approach the aesthetics industry with an emphasis on rigorous clinical development – led NEA to increase its position in Ulthera through Series C despite a number of headwinds. To aspiring medtech entrepreneurs, Likens advised to confront the brutal facts when making tough decisions and to operate with authenticity. He added, that it always takes twice as long and costs twice as much. Looking back, it would be “wise to take money when you can get it.” Ulthera had an opportunity to close the Series B round of financing about a year earlier though at a lower valuation. They waited for a good valuation, holding out for the right offer, during which time the capital could have been used to fuel the company’s growth. Ulthera’s acquisition by Merz was the fifth largest sale of a privately held U.S. medical device company in the history of medtech. Looking at the overall market trends, the number of IPOs increased significantly for all of healthcare as well as devices. 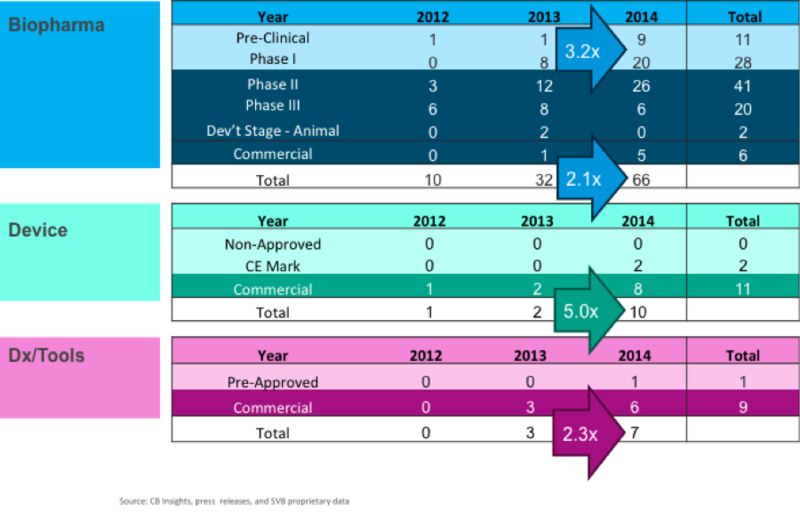 There were only 2 medtech IPOs in 2013 and the number increased to 10 in 2014! Medtronic, Boston Scientific, and Covidien continue to be the top acquirers of medtech companies – though earlier this year, Medtronic completed the $42.9 billion historic merger with Covidien, further consolidating the industry. The chart below breaks down medtech acquirers by 510k and PMA products since 2009. Device M&A/IPO activity has been on the rise in recent years. The pace has slowed down for the first two quarters of this year, though Norris noted that a number of deals are in the pipeline for this year and device M&A for 2015 is likely to equal the pace for 2014.